I'm getting close to running out of old truck photos to show on my blog. I still have plenty of car and motorcycle pictures, but I see that my truck photo posts definitely attract more hits. 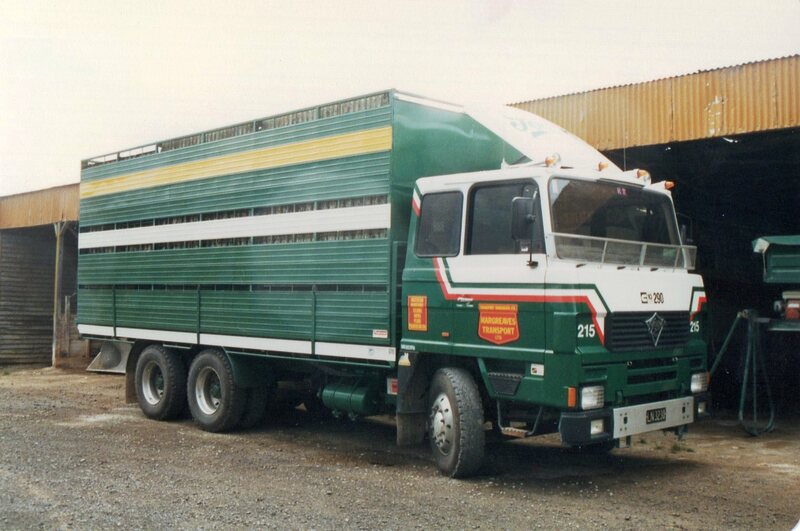 If anyone has any worthwhile truck pics please e-mail them and I will post them, creditting the snapper. 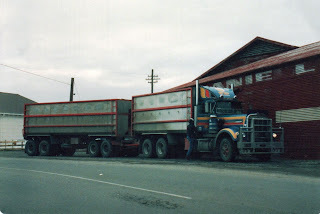 Brand new Foden with 290HP L10 Cummins at Hargreaves Transport's yard in Dannevirke. 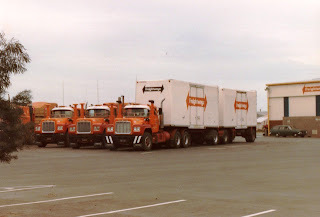 Mack Super-liner grain truck and trailer. engineered Fords: the middle one in this picture. 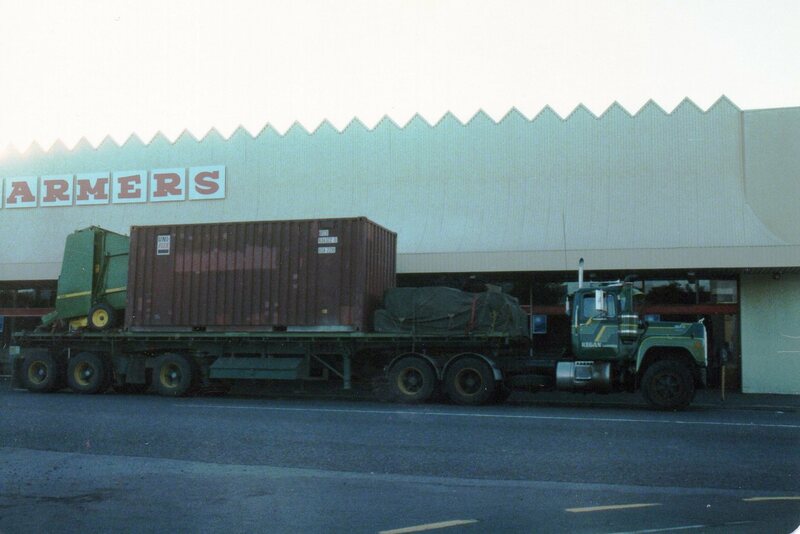 Fearon Logging's Transtar II with self loading trailer passing the "Horseshoe" at the north end of Masterton. 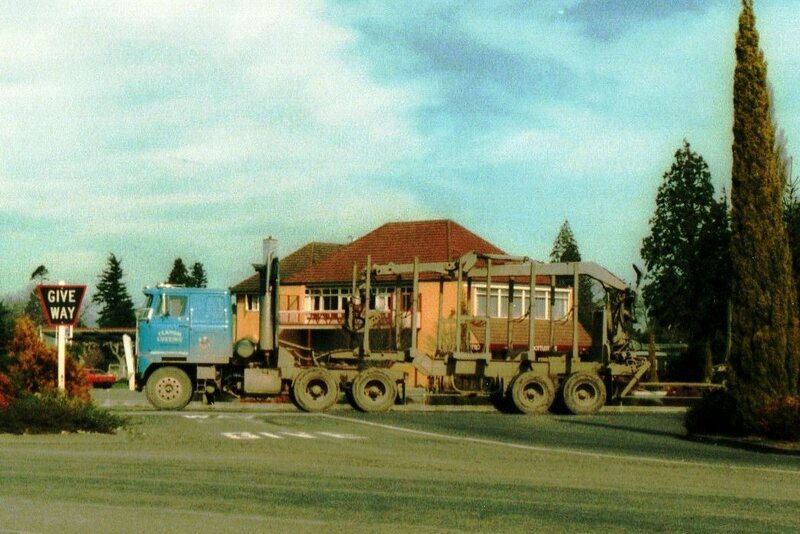 The Horseshoe was a favourite watering hole, so named because of its horseshoe shaped bar. Upstairs was a restaurant and lounge bar. These days most of the first floor is occupied by offices and the ground floor is a cafe/restaurant. Fairground set up at an air display at Ohakea air-base. 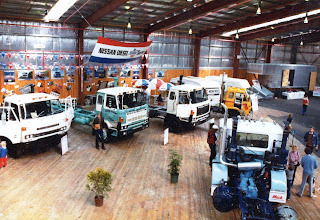 Commer Maxiload and ERF B series. A trio of R series Macks at Freightway's depot in Napier. 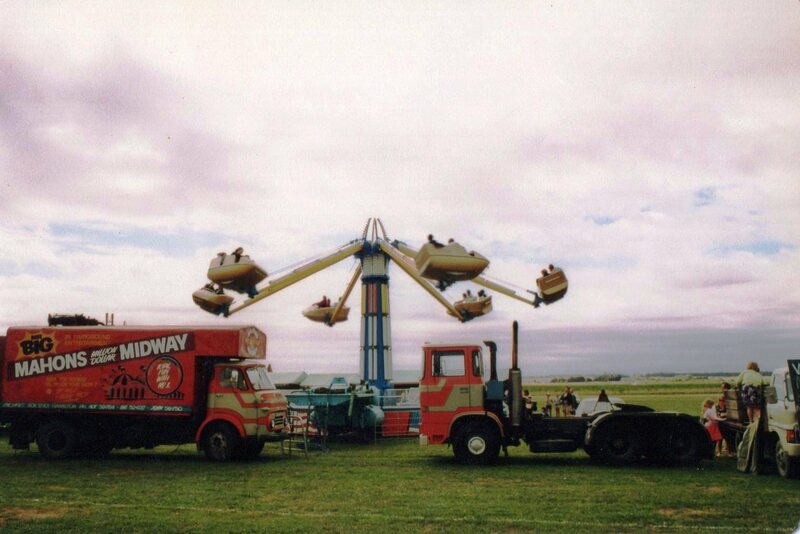 Note the HR Holden station wagon in the background. 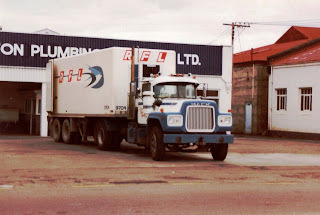 R series Mack of RFL parked over night in Masterton Plumbing's yard. 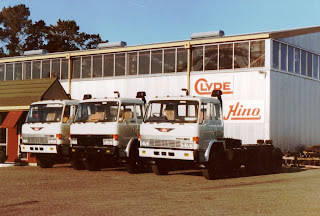 This building was originally the service department of H.J.Jones the Morris dealer. On this site now stands the new premises of Lambert Cycles. 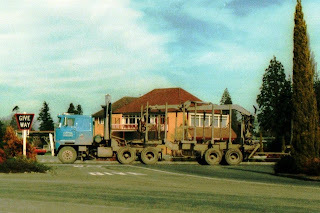 The white building to the right has been replaced by the local Burger King restaurant. 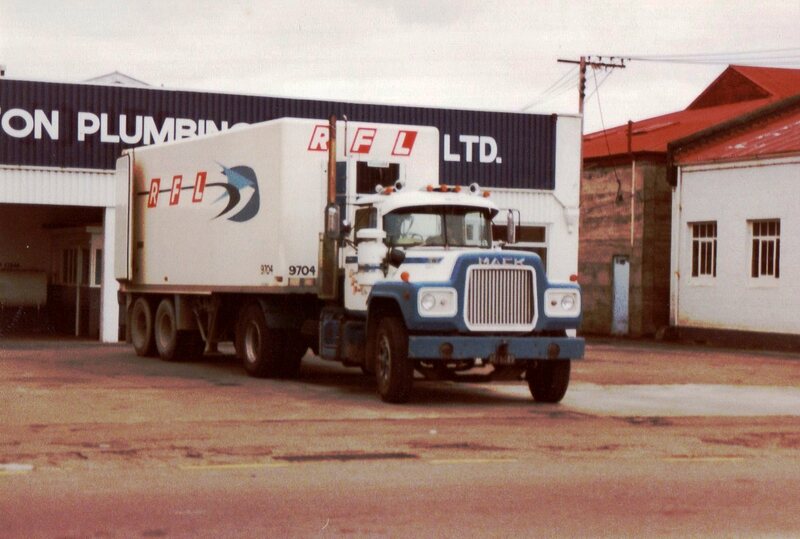 The RFLdriver would have been staying at the nearby Empire Hotel. A line of Nissans at a truck show in Wellington. A TD Haulage driver about to climb back into his W900 Kenworth outside C.E.Daniell's mill in Lincoln Road Masterton. 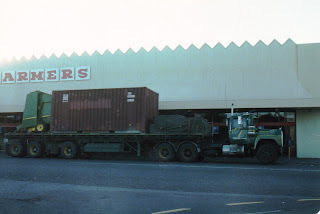 Outside Farmers department store in Chapel Street Masterton an R series Mack, with self-steer trailer and mixed load, of Regan Carriers, takes a short break in the early morning light. 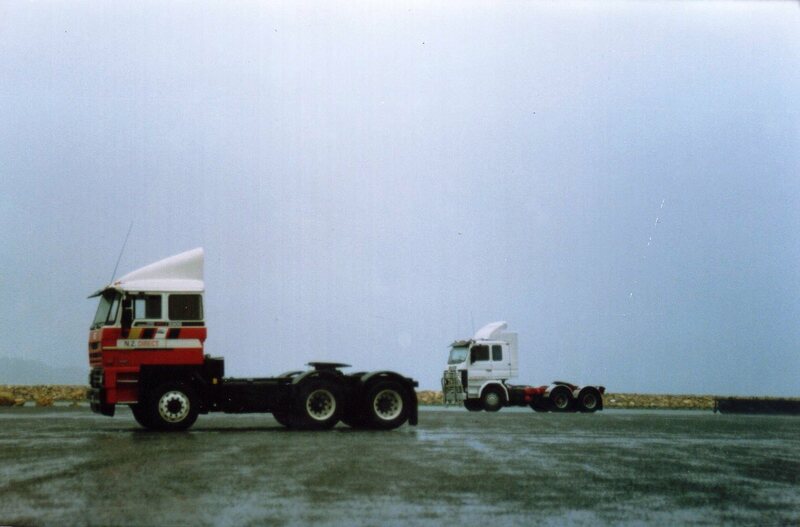 DAF and Scania, with sleeping drivers, parked at Day's Bay on a wet Wellington day.